Orphic is a store and a showroom of hand made pieces of art and couture, clothing created by very talented individuals who were sought and chosen with a vision in mind, the brainchild of Max Noce, Brittney Hastings, Currado Malaspina and Valentino Negri. Max Noce has been in the fashion world for over 25 years with a past that involved such designers as Valentino, Karl Lagerfeled and Dolce & Gabbana, worked at Lords in Los Angeles and had a store with ex Guns ‘n Roses drummer Matt Sorum called Sorum + Noce. Every piece fits into a precise picture of things evolving into a website which includes more artists and designers, a very tasty slice of things from an over saturated web. There’s a great chemistry between everybody involved, a sense of community in a constructive and progressive way, standing together, stronger. Orphic is a different plate, working on a more ample view of what a store and a showroom should be, adapting and transforming with the times, involving amazing friends and musicians, artists and photographers, giving a voice and a place to the people we think deserve to be listened to, watched, experienced. Our surroundings are to be appreciated as well as we strive to make you discover something new and unique each time, Sicilian brass sconces and lanterns from 1905 light the store walls, hand carved and hand painted wooden cabinets display jewelry, paintings from the extraordinaire Christopher Ulrich, blood painter Ryan Lavoisin, and clothing from designers from all around the world complete the picture. Joshua Harker’ works are also on display at Orphic, one of the pioneers of 3d printing, his pieces are amazingly unique and beautiful and we are incredibly proud and honored to have him here with us. Verena Schreppel, Why Knot, Wonder Hand. Christopher Ulrich, Ray Lavoisin, Joshua Harker, Brittney Hastings. 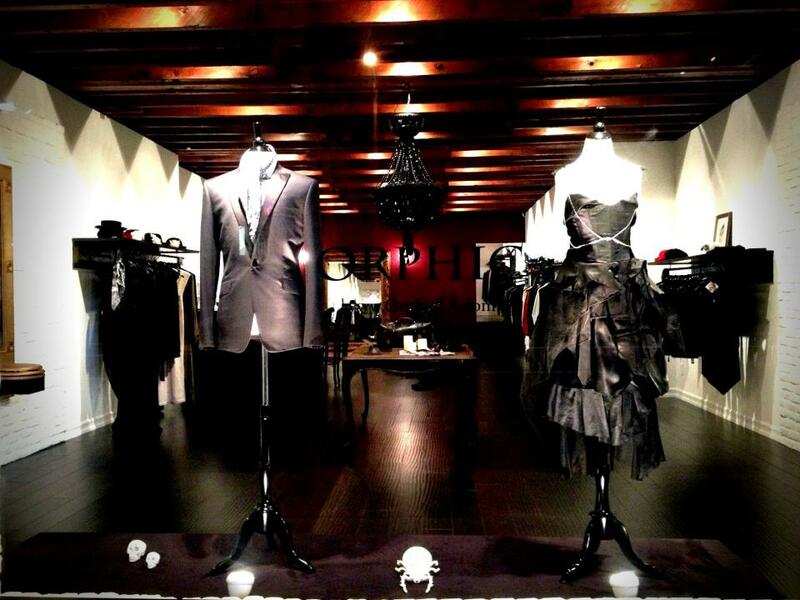 Learn more about fashion boutiques in Los Angeles on the Apparel Search fashion directory. This entry was posted in Clothing, Fashion, Retail Stores, Shopping and tagged Boutique, fashion store, LA, LA boutique, Los Angeles, Orphic. Bookmark the permalink.